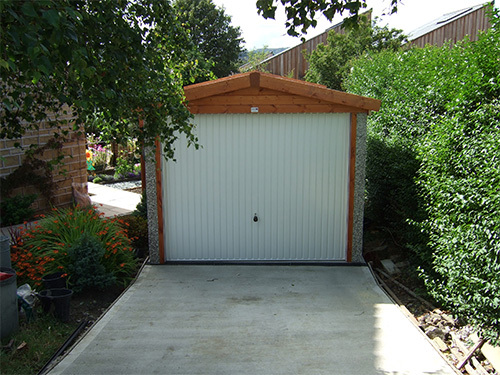 Apex garages have become one of our most popular garages and for good reason. 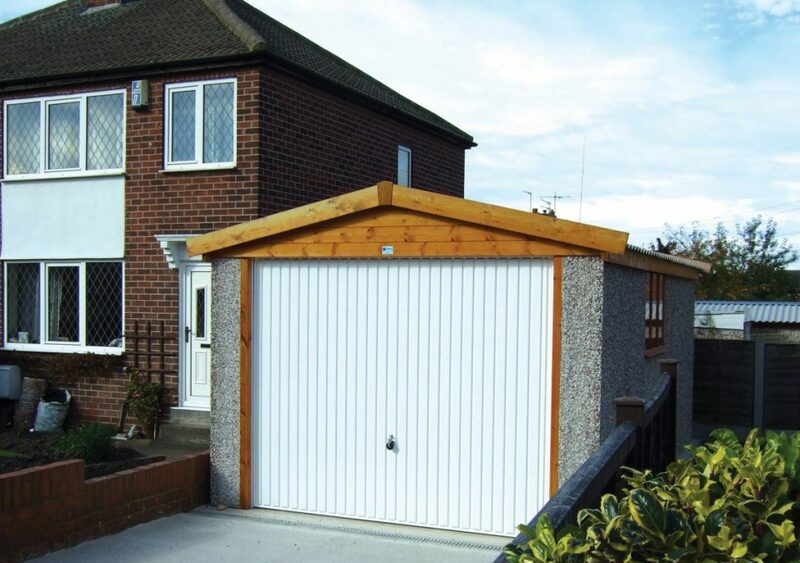 The modern design of our apex garages allows the garages to transition smoothly and seamlessly onto your property. Another great advantage of our apex garages is the storage space. Not only do you get ground level storage but you have storage above you as well in the roof. 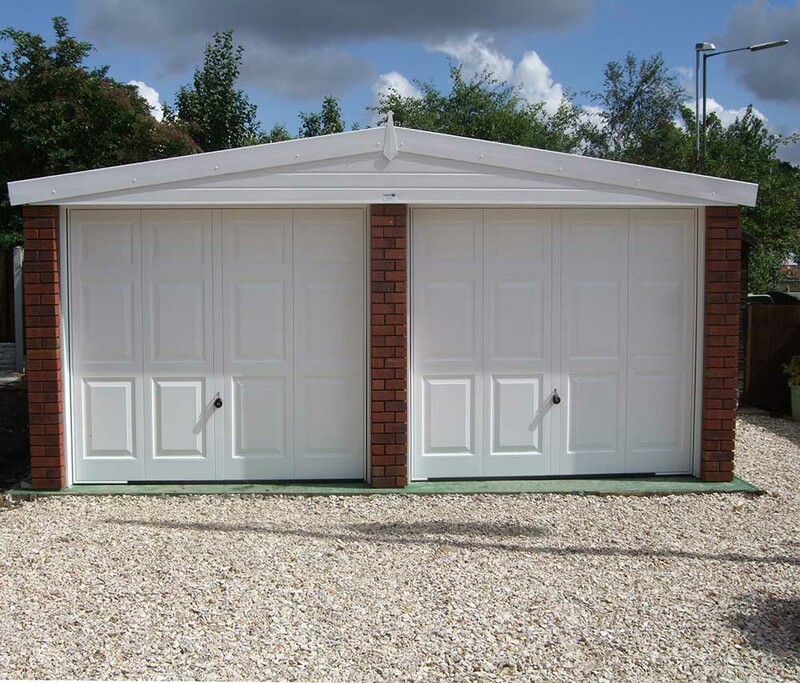 Our apex garages come in a variety of different widths and heights such as 18 feet by 10 and a half feet. We can accommodate most garage sizes so when getting in touch let us know what size you’re interested in. On top of our sizes, we also provide many extras such as additional doors and cladding to match your home and other outhouses. Remember, just ask and we’ll tell you if we provide it or not. 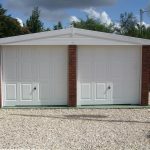 The concrete panel walls of our garages are reinforced with steel bars for maximum strength and durability. During the assembly phase of constructing our garages, we use an airtight sealant called Arbomast which provides our garages with maximum resistance against the outdoor weather. We finish every single apex garage with Multi Spar Gravel provided by Derbyshire Aggregates. 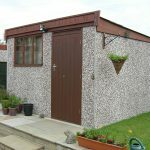 Concrete apex garages are designed to fit well with existing buildings. They are a fraction of the cost of a traditional brick built garage. They can be erected in a day with the minimum of mess. Planning permission and building regulations are not usually needed, a further saving when compared to a traditional build. Fill out our form and we'll be back in touch ASAP!